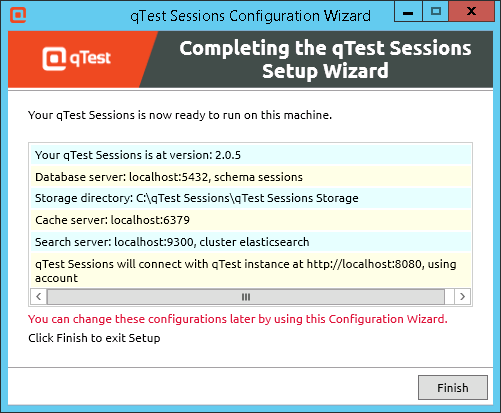 In this guide, we will walk you through step by step to install qTest Sessions v3.0.9 on a separated Windows machine. Please go through the guide below thoroughly before starting your installations. 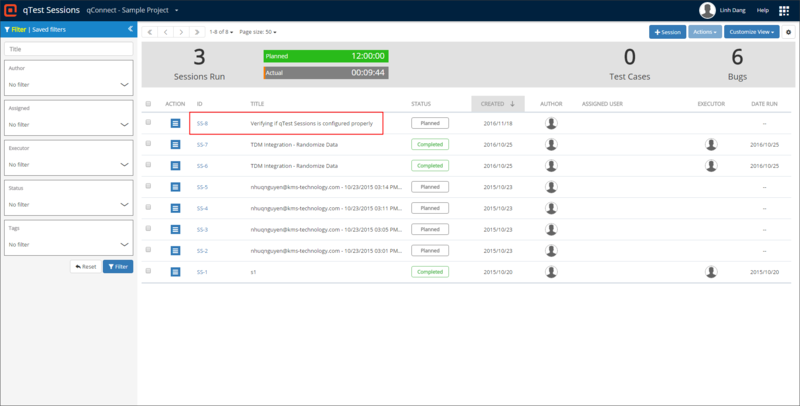 Before proceeding, please make sure qTest Manager is running and your qTest license file has been imported. If not, go to Manager 8.4.4 Single Server Installation Guide for Windows for instructions to install and run qTest Manager. Prerequisite packages must be installed and running prior to qTest Sessions installation. Open file C:\Program Files\PostgreSQL\9.5\data\pg_hba.conf. Look for the following line and if it does not exit, append the below line to the file. After PostgreSQL has been successfully installed and configured, you will need to create a database schema. It will be used when installing qTest Sessions. sessions database has been created and listed. 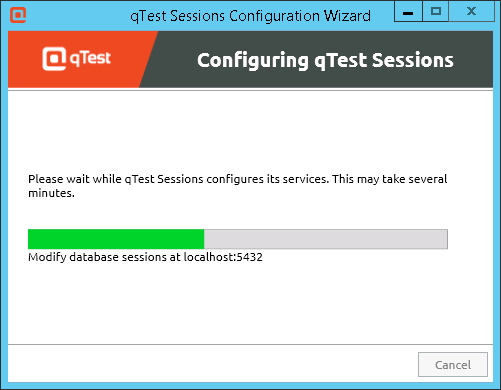 qTest Sessions requires Redis version 2.8+ installed. You can click here to download. By default, Redis runs on port 6379. Make sure that the port is available and the port is not blocked by your firewall. qTest Sessions requires Elasticsearch version 1.7.3 installed. Click here to download Elasticsearch. From Elasticsearch 1.7.3 (elasticsearch-service-x64) Properties window, set `Startup type` field to Automatic, then click OK button. By default, Elasticsearch's HTTP and TCP ports are respectively 9200 and 9300. Make sure that the ports are available and not blocked by your firewall. NOTE: By default, the cluster name is elasticsearch. Go to Get Elasticsearch cluster name for the instructions to get the cluster name. 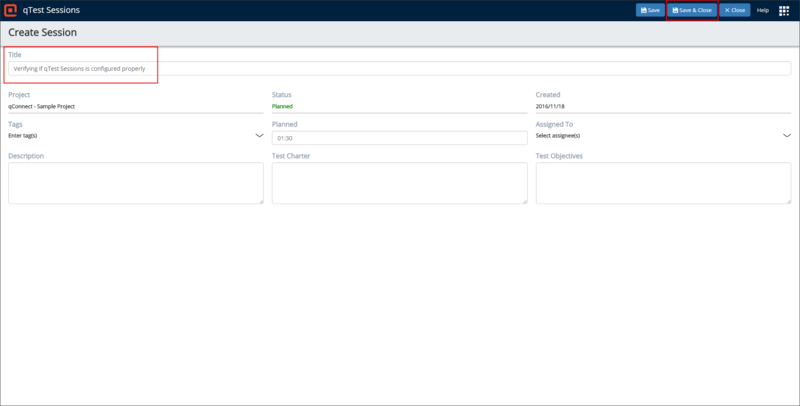 In the QTEST EXPLORER | SESSIONS section, input the URL of your qTest Sessions server, such as http://[qTest_Sessions_IP_Address]:[HTTP_Port] or https://[qTest_Sessions_IP_Address]:[HTTP_port] if you installed qTest Sessions with SSL certificate.